The product and the process of planning, designing and constructing buildings and other structures. For the profession, see Architect. For other uses, see Architecture (disambiguation). 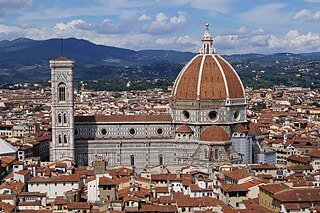 Brunelleschi, in the building of the dome of Florence Cathedral (Italy) in the early 15th century, not only transformed the building and the city, but also the role and status of the architect. Example of an East Asian hip-and-gable roof at the Longxing Buddhist Temple, China. 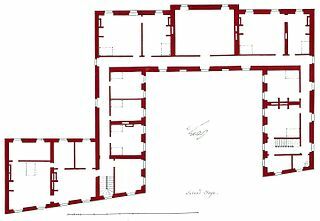 Plan of the second floor (attic storey) of the Hôtel de Brionne in Paris – 1734. Architecture is both the process and the product of planning, designing, and constructing buildings or any other structures. 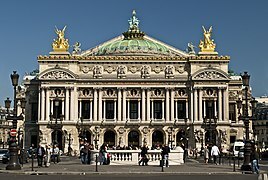 Architectural works, in the material form of buildings, are often perceived as cultural symbols and as works of art. Historical civilizations are often identified with their surviving architectural achievements. 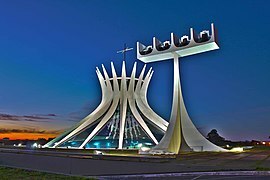 Architecture (Latin architectura, from the Greek ἀρχιτέκτων arkhitekton "architect", from ἀρχι- "chief" and τέκτων "creator") is both the process and the product of planning, designing, and constructing buildings and other physical structures. A general term to describe buildings and other physical structures. The art and science of designing buildings and (some) nonbuilding structures. The style of design and method of construction of buildings and other physical structures. A unifying or coherent form or structure. Knowledge of art, science, technology, and humanity. The design activity of the architect, from the macro-level (urban design, landscape architecture) to the micro-level (construction details and furniture). The practice of the architect, where architecture means offering or rendering professional services in connection with the design and construction of buildings, or built environments. 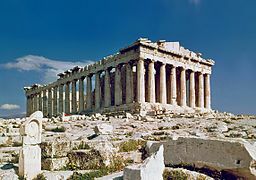 The Parthenon, Athens, Greece, "the supreme example among architectural sites." (Fletcher). Durability – a building should stand up robustly and remain in good condition. Utility – it should be suitable for the purposes for which it is used. Beauty – it should be aesthetically pleasing. According to Vitruvius, the architect should strive to fulfill each of these three attributes as well as possible. 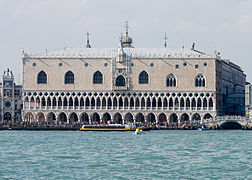 Leon Battista Alberti, who elaborates on the ideas of Vitruvius in his treatise, De Re Aedificatoria, saw beauty primarily as a matter of proportion, although ornament also played a part. For Alberti, the rules of proportion were those that governed the idealised human figure, the Golden mean. The most important aspect of beauty was, therefore, an inherent part of an object, rather than something applied superficially, and was based on universal, recognisable truths. The notion of style in the arts was not developed until the 16th century, with the writing of Vasari: by the 18th century, his Lives of the Most Excellent Painters, Sculptors, and Architects had been translated into Italian, French, Spanish, and English. 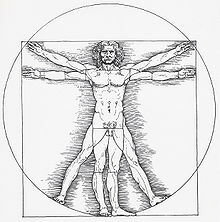 Ancient Roman architect Vitruvius described in his theory of proper architecture, the proportions of a man. In the early 19th century, Augustus Welby Northmore Pugin wrote Contrasts (1836) that, as the titled suggested, contrasted the modern, industrial world, which he disparaged, with an idealized image of neo-medieval world. Gothic architecture, Pugin believed, was the only "true Christian form of architecture." The 19th-century English art critic, John Ruskin, in his Seven Lamps of Architecture, published 1849, was much narrower in his view of what constituted architecture. Architecture was the "art which so disposes and adorns the edifices raised by men ... that the sight of them" contributes "to his mental health, power, and pleasure". For Ruskin, the aesthetic was of overriding significance. His work goes on to state that a building is not truly a work of architecture unless it is in some way "adorned". For Ruskin, a well-constructed, well-proportioned, functional building needed string courses or rustication, at the very least. On the difference between the ideals of architecture and mere construction, the renowned 20th-century architect Le Corbusier wrote: "You employ stone, wood, and concrete, and with these materials you build houses and palaces: that is construction. Ingenuity is at work. But suddenly you touch my heart, you do me good. I am happy and I say: This is beautiful. That is Architecture". Le Corbusier's contemporary Ludwig Mies van der Rohe said "Architecture starts when you carefully put two bricks together. There it begins." The notable 19th-century architect of skyscrapers, Louis Sullivan, promoted an overriding precept to architectural design: "Form follows function". While the notion that structural and aesthetic considerations should be entirely subject to functionality was met with both popularity and skepticism, it had the effect of introducing the concept of "function" in place of Vitruvius' "utility". "Function" came to be seen as encompassing all criteria of the use, perception and enjoyment of a building, not only practical but also aesthetic, psychological and cultural. To restrict the meaning of (architectural) formalism to art for art's sake is not only reactionary; it can also be a purposeless quest for perfection or originality which degrades form into a mere instrumentality". Among the philosophies that have influenced modern architects and their approach to building design are rationalism, empiricism, structuralism, poststructuralism, and phenomenology. In the late 20th century a new concept was added to those included in the compass of both structure and function, the consideration of sustainability, hence sustainable architecture. To satisfy the contemporary ethos a building should be constructed in a manner which is environmentally friendly in terms of the production of its materials, its impact upon the natural and built environment of its surrounding area and the demands that it makes upon non-sustainable power sources for heating, cooling, water and waste management and lighting. Philosophy of Architecture is a branch of philosophy of art, dealing with aesthetic value of architecture, its semantics and relations with development of culture. Plato to Michel Foucault, Gilles Deleuze, Robert Venturi as well as many other philosophers and theoreticians, distinguish architecture ('technion') from building ('demiorgos'), attributing the former to mental traits, and the latter to the divine or natural. The Wittgenstein House is considered one of the most important examples of interactions between philosophy and architecture. Built by renowned Austrian philosopher Ludwig Wittgenstein, the house has been the subject of extensive research about the relationship between its stylistic features, Wittgenstein's personality, and his philosophy. Building first evolved out of the dynamics between needs (shelter, security, worship, etc.) and means (available building materials and attendant skills). As human cultures developed and knowledge began to be formalized through oral traditions and practices, building became a craft, and "architecture" is the name given to the most highly formalized and respected versions of that craft. It is widely assumed that architectural success was the product of a process of trial and error, with progressively less trial and more replication as the results of the process proved increasingly satisfactory. What is termed vernacular architecture continues to be produced in many parts of the world. Indeed, vernacular buildings make up most of the built world that people experience every day. Early human settlements were mostly rural. 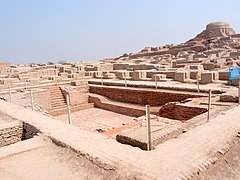 Due to a surplus in production the economy began to expand resulting in urbanization thus creating urban areas which grew and evolved very rapidly in some cases, such as that of Çatal Höyük in Anatolia and Mohenjo Daro of the Indus Valley Civilization in modern-day Pakistan. over 3,000 settlements of the Cucuteni-Trypillian culture, some with populations up to 15,000 residents, flourished in present-day Romania, Moldova and Ukraine from 5,400–2,800 BC. 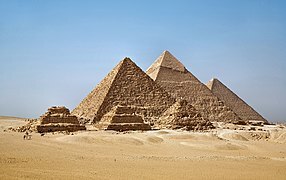 In many ancient civilizations, such as those of Egypt and Mesopotamia, architecture and urbanism reflected the constant engagement with the divine and the supernatural, and many ancient cultures resorted to monumentality in architecture to represent symbolically the political power of the ruler, the ruling elite, or the state itself. The architecture and urbanism of the Classical civilizations such as the Greek and the Roman evolved from civic ideals rather than religious or empirical ones and new building types emerged. 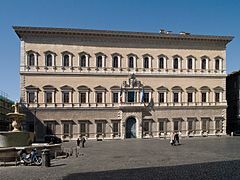 Architectural "style" developed in the form of the Classical orders. Roman architecture was influenced by Greek architecture as they incorporated many Greek elements into their building practices. Texts on architecture have been written since ancient time. These texts provided both general advice and specific formal prescriptions or canons. Some examples of canons are found in the writings of the 1st-century BCE Roman Architect Vitruvius. 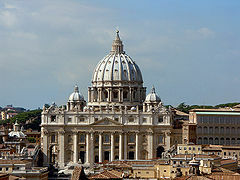 Some of the most important early examples of canonic architecture are religious. The Parthenon in Athens, Greece. 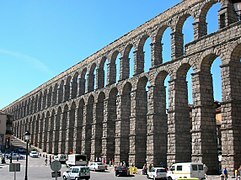 Roman aqueduct in Segovia, Spain. 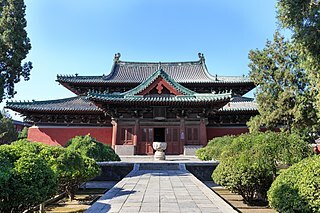 Early Asian writings on architecture include the Kao Gong Ji of China from the 7th–5th centuries BCE; the Shilpa Shastras of ancient India; Manjusri Vasthu Vidya Sastra of Sri Lanka and Araniko of Nepal . 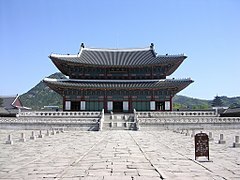 Gyeongbokgung Palace in Seoul, South Korea. 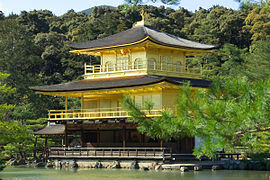 Kinkaku-ji (Golden Pavilion), Kyoto, Japan. 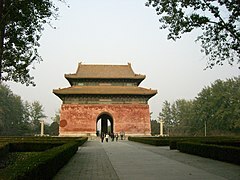 The Great Red Gate at the Ming Tombs near Beijing, China. 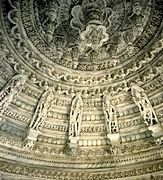 The ceiling of Dilwara Jain Temples, India. the view of Janaki mandir, Nepal. 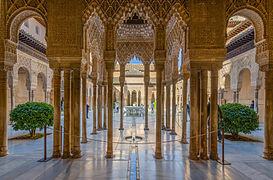 Islamic architecture began in the 7th century CE, incorporating architectural forms from the ancient Middle East and Byzantium, but also developing features to suit the religious and social needs of the society. Examples can be found throughout the Middle East, North Africa, Spain and the Indian Sub-continent. 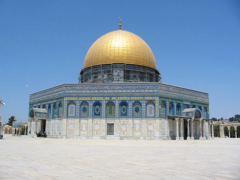 Dome of the Rock, Jerusalem. 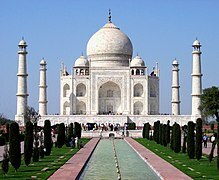 Taj Mahal in Agra, India. In Europe during the Medieval period, guilds were formed by craftsmen to organize their trades and written contracts have survived, particularly in relation to ecclesiastical buildings. The role of architect was usually one with that of master mason, or Magister lathomorum as they are sometimes described in contemporary documents. The major architectural undertakings were the buildings of abbeys and cathedrals. From about 900 CE onward, the movements of both clerics and tradesmen carried architectural knowledge across Europe, resulting in the pan-European styles Romanesque and Gothic. Also, significant part of Middle Ages architectural heritage are numerous fortifications across the continent. From Balkans to Spain, and from Malta to Estonia, these buildings represent important part of European heritage. The Late Middle Ages in Central and Southeastern Europe also saw the expansion of Ottoman architecture, which spread alongside the Ottoman Empire, from Anatolia via the Balkans, to Central and Eastern Europe and beyond to the northern shores of the Black Sea. In regions from which the Ottoman Empire would eventually be forced to retreat, almost all their architectural designs were destroyed. 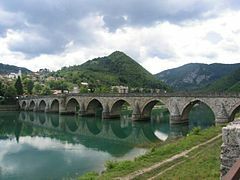 In the 21st century, the only significant architectural heritage on European soil outside of modern-day Turkey, can be found in Bosnia and Herzegovina, Kosovo, and Albania, while some remnants can be found in the Muslim-inhabited parts of Serbia, Montenegro, Macedonia and Bulgaria. 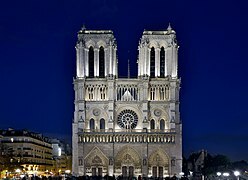 Notre Dame de Paris, France. The Tower of London, England. Stari Most, 16th-c. Ottoman bridge & UNESCO site in Mostar, Bosnia and Herzegovina. Mehmed Paša Sokolović Bridge, 16th-c. Mimar Sinan's Ottoman bridge & UNESCO site in Višegrad, Bosnia. In Renaissance Europe, from about 1400 onwards, there was a revival of Classical learning accompanied by the development of Renaissance Humanism which placed greater emphasis on the role of the individual in society than had been the case during the Medieval period. Buildings were ascribed to specific architects – Brunelleschi, Alberti, Michelangelo, Palladio – and the cult of the individual had begun. There was still no dividing line between artist, architect and engineer, or any of the related vocations, and the appellation was often one of regional preference. A revival of the Classical style in architecture was accompanied by a burgeoning of science and engineering which affected the proportions and structure of buildings. At this stage, it was still possible for an artist to design a bridge as the level of structural calculations involved was within the scope of the generalist. St. Peter's Basilica, Rome, Italy. 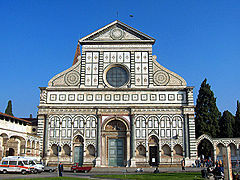 Santa Maria Novella, Florence, Italy. With the emerging knowledge in scientific fields and the rise of new materials and technology, architecture and engineering began to separate, and the architect began to concentrate on aesthetics and the humanist aspects, often at the expense of technical aspects of building design. 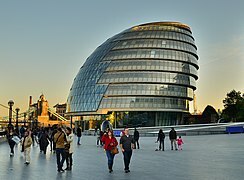 There was also the rise of the "gentleman architect" who usually dealt with wealthy clients and concentrated predominantly on visual qualities derived usually from historical prototypes, typified by the many country houses of Great Britain that were created in the Neo Gothic or Scottish Baronial styles. Formal architectural training in the 19th century, for example at École des Beaux-Arts in France, gave much emphasis to the production of beautiful drawings and little to context and feasibility. Meanwhile, the Industrial Revolution laid open the door for mass production and consumption. Aesthetics became a criterion for the middle class as ornamented products, once within the province of expensive craftsmanship, became cheaper under machine production. 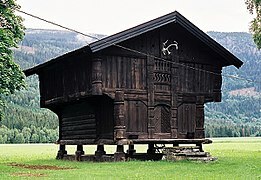 Vernacular architecture became increasingly ornamental. House builders could use current architectural design in their work by combining features found in pattern books and architectural journals. Pont Alexandre III Paris, France. Congeso Nacional Palace, Buenos Aires, Argentina. Around the beginning of the 20th century, a general dissatisfaction with the emphasis on revivalist architecture and elaborate decoration gave rise to many new lines of thought that served as precursors to Modern Architecture. 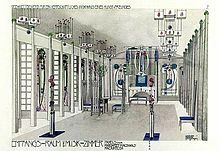 Notable among these is the Deutscher Werkbund, formed in 1907 to produce better quality machine made objects. The rise of the profession of industrial design is usually placed here. Following this lead, the Bauhaus school, founded in Weimar, Germany in 1919, redefined the architectural bounds prior set throughout history, viewing the creation of a building as the ultimate synthesis—the apex—of art, craft, and technology. When modern architecture was first practiced, it was an avant-garde movement with moral, philosophical, and aesthetic underpinnings. Immediately after World War I, pioneering modernist architects sought to develop a completely new style appropriate for a new post-war social and economic order, focused on meeting the needs of the middle and working classes. They rejected the architectural practice of the academic refinement of historical styles which served the rapidly declining aristocratic order. The approach of the Modernist architects was to reduce buildings to pure forms, removing historical references and ornament in favor of functionalist details. Buildings displayed their functional and structural elements, exposing steel beams and concrete surfaces instead of hiding them behind decorative forms. Architects such as Frank Lloyd Wright developed organic architecture, in which the form was defined by its environment and purpose, with an aim to promote harmony between human habitation and the natural world with prime examples being Robie House and Fallingwater. Architects such as Mies van der Rohe, Philip Johnson and Marcel Breuer worked to create beauty based on the inherent qualities of building materials and modern construction techniques, trading traditional historic forms for simplified geometric forms, celebrating the new means and methods made possible by the Industrial Revolution, including steel-frame construction, which gave birth to high-rise superstructures. Fazlur Rahman Khan's development of the tube structure was a technological break-through in building ever higher. By mid-century, Modernism had morphed into the International Style, an aesthetic epitomized in many ways by the Twin Towers of New York's World Trade Center designed by Minoru Yamasaki. 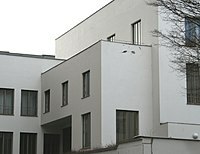 The Bauhaus school building in Dessau, Germany. 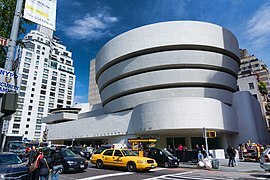 Guggenheim Museum, New York City, United States. Many architects resisted modernism, finding it devoid of the decorative richness of historical styles. As the first generation of modernists began to die after World War II, a second generation of architects including Paul Rudolph, Marcel Breuer, and Eero Saarinen tried to expand the aesthetics of modernism with Brutalism, buildings with expressive sculptural façades made of unfinished concrete. But an even new younger postwar generation critiqued modernism and Brutalism for being too austere, standardized, monotone, and not taking into account the richness of human experience offered in historical buildings across time and in different places and cultures. One such reaction to the cold aesthetic of modernism and Brutalism is the school of metaphoric architecture, which includes such things as biomorphism and zoomorphic architecture, both using nature as the primary source of inspiration and design. While it is considered by some to be merely an aspect of postmodernism, others consider it to be a school in its own right and a later development of expressionist architecture. Beginning in the late 1950s and 1960s, architectural phenomenology emerged as an important movement in the early reaction against modernism, with architects like Charles Moore in the United States, Christian Norberg-Schulz in Norway, and Ernesto Nathan Rogers and Vittorio Gregotti, Michele Valori, Bruno Zevi in Italy, who collectively popularized an interest in a new contemporary architecture aimed at expanding human experience using historical buildings as models and precedents. Postmodernism produced a style that combined contemporary building technology and cheap materials, with the aesthetics of older pre-modern and non-modern styles, from high classical architecture to popular or vernacular regional building styles. Robert Venturi famously defined postmodern architecture as a "decorated shed" (an ordinary building which is functionally designed inside and embellished on the outside), and upheld it against modernist and brutalist "ducks" (buildings with unnecessarily expressive tectonic forms). 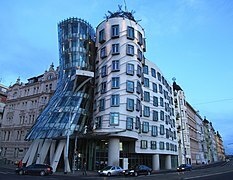 The Dancing House, Prague, Czech Republic. The Petronas Tower in Kuala Lumpur, Malaysia. Since the 1980s, as the complexity of buildings began to increase (in terms of structural systems, services, energy and technologies), the field of architecture became multi-disciplinary with specializations for each project type, technological expertise or project delivery methods. In addition, there has been an increased separation of the 'design' architect [Notes 1] from the 'project' architect who ensures that the project meets the required standards and deals with matters of liability. [Notes 2] The preparatory processes for the design of any large building have become increasingly complicated, and require preliminary studies of such matters as durability, sustainability, quality, money, and compliance with local laws. A large structure can no longer be the design of one person but must be the work of many. Modernism and Postmodernism have been criticised by some members of the architectural profession who feel that successful architecture is not a personal, philosophical, or aesthetic pursuit by individualists; rather it has to consider everyday needs of people and use technology to create liveable environments, with the design process being informed by studies of behavioral, environmental, and social sciences. Concurrently, the recent movements of New Urbanism, metaphoric architecture and New Classical Architecture promote a sustainable approach towards construction that appreciates and develops smart growth, architectural tradition and classical design. This in contrast to modernist and globally uniform architecture, as well as leaning against solitary housing estates and suburban sprawl. Glass curtain walls, which were the hallmark of the ultra modern urban life in many countries surfaced even in developing countries like Nigeria where international styles had been represented since the mid 20th Century mostly because of the leanings of foreign-trained architects. 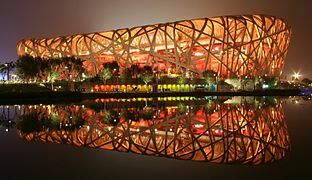 Bird's Nest stadium, Beijing, China. 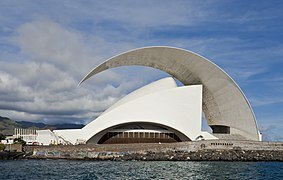 Auditorio de Tenerife, Canary Islands, Spain..
Business architecture is defined as "a blueprint of the enterprise that provides a common understanding of the organization and is used to align strategic objectives and tactical demands." People who develop and maintain business architecture are known as business architects. Business architecture is the bridge between the enterprise business model and enterprise strategy on one side, and the business functionality of the enterprise on the other side. Cognitive architecture can refer to a theory about the structure of the human mind. One of the main goals of a cognitive architecture is to summarize the various results of cognitive psychology in a comprehensive computer model. However, the results need to be in a formalized form so far that they can be the basis of a computer program. The formalized models can be used to further refine a comprehensive theory of cognition, and more immediately, as a commercially usable model. Successful cognitive architectures include ACT-R (Adaptive Control of Thought, ACT) and SOAR. The Institute of Creative Technologies defines cognitive architecture as: "hypothesis about the fixed structures that provide a mind, whether in natural or artificial systems, and how they work together – in conjunction with knowledge and skills embodied within the architecture – to yield intelligent behavior in a diversity of complex environments." Pipelined implementation of MIPS architecture. In computer engineering, "computer architecture" is a set of rules and methods that describe the functionality, organization, and implementation of computer systems. Some definitions of architecture define it as describing the capabilities and programming model of a computer but not a particular implementation. In other definitions computer architecture involves instruction set architecture design, microarchitecture design, logic design, and implementation. Enterprise architecture (EA) is "a well-defined practice for conducting enterprise analysis, design, planning, and implementation, using a holistic approach at all times, for the successful development and execution of strategy. Enterprise architecture applies architecture principles and practices to guide organizations through the business, information, process, and technology changes necessary to execute their strategies. These practices utilize the various aspects of an enterprise to identify, motivate, and achieve these changes." 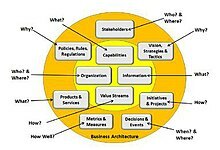 Practitioners of enterprise architecture, enterprise architects, are responsible for performing the analysis of business structure and processes and are often called upon to draw conclusions from the information collected to address the goals of enterprise architecture: effectiveness, efficiency, agility, and durability. Interior architecture is the design of a space which has been created by structural boundaries and the human interaction within these boundaries. It can also be the initial design and plan for use, then later redesign to accommodate a changed purpose, or a significantly revised design for adaptive reuse of the building shell. The latter is often part of sustainable architecture practices, conserving resources through "recycling" a structure by adaptive redesign. Generally referred to as the spatial art of environmental design, form and practice, interior architecture is the process through which the interiors of buildings are designed, concerned with all aspects of the human uses of structural spaces. Put simply, Interior Architecture is the design of an interior in architectural terms. Landscape architecture is the design of outdoor public areas, landmarks, and structures to achieve environmental, social-behavioral, or aesthetic outcomes. It involves the systematic investigation of existing social, ecological, and soil conditions and processes in the landscape, and the design of interventions that will produce the desired outcome. The scope of the profession includes landscape design; site planning; stormwater management; environmental restoration; parks and recreation planning; visual resource management; green infrastructure planning and provision; and private estate and residence landscape master planning and design; all at varying scales of design, planning and management. 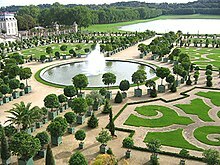 A practitioner in the profession of landscape architecture is called a landscape architect. Naval architecture, also known as naval engineering, is an engineering discipline dealing with the engineering design process, shipbuilding, maintenance, and operation of marine vessels and structures. Naval architecture involves basic and applied research, design, development, design evaluation and calculations during all stages of the life of a marine vehicle. Preliminary design of the vessel, its detailed design, construction, trials, operation and maintenance, launching and dry-docking are the main activities involved. Ship design calculations are also required for ships being modified (by means of conversion, rebuilding, modernization, or repair). Naval architecture also involves formulation of safety regulations and damage control rules and the approval and certification of ship designs to meet statutory and non-statutory requirements. Network architecture is the design of a communication network. It is a framework for the specification of a network's physical components and their functional organization and configuration, its operational principles and procedures, as well as data formats use. In telecommunication, the specification of a network architecture may also include a detailed description of products and services delivered via a communications network, as well as detailed rate and billing structures under which services are compensated. Software architecture refers to the fundamental structures of a software system, the discipline of creating such structures, and the documentation of these structures. These structures are needed to reason about the software system. Each structure comprises software elements, relations among them, and properties of both elements and relations, along with rationale for the introduction and configuration of each element. The architecture of a software system is a metaphor, analogous to the architecture of a building. Software architecture is about making fundamental structural choices which are costly to change once implemented. Software architecture choices, also called architectural decisions, include specific structural options from possibilities in the design of software. For example, the systems that controlled the space shuttle launch vehicle had the requirement of being very fast and very reliable. Therefore, an appropriate real-time computing language would need to be chosen. Additionally, to satisfy the need for reliability the choice could be made to have multiple redundant and independently produced copies of the program, and to run these copies on independent hardware while cross-checking results. In distributed computing, computations are distributed over different networked computers, which communicate and coordinate their actions by passing messages to one another. Examples of architectures for distributed computing include high-level architecture (HLA) and Distributed Interactive Simulation (DIS). System architecture is a conceptual model that defines the structure, behavior, and more views of a system. An architecture description is a formal description and representation of a system, organized in a way that supports reasoning about the structures and behaviors of the system. Urban design is the process of designing and shaping the physical features of cities, towns and villages. In contrast to architecture, which focuses on the design of individual buildings, urban design deals with the larger scale of groups of buildings, streets and public spaces, whole neighborhoods and districts, and entire cities, with the goal of making urban areas functional, attractive, and sustainable. Urban design is an inter-disciplinary field that utilizes elements of many built environment professions, including landscape architecture, urban planning, architecture, civil engineering and municipal engineering. It is common for professionals in all these disciplines to practice urban design. In more recent times different sub-subfields of urban design have emerged such as strategic urban design, landscape urbanism, water-sensitive urban design, and sustainable urbanism. Angkor Wat, Cambodia, symmetry and elevation have often been utilised in the architectural expression of religious devotion or political power. ^ A design architect is one who is responsible for the design. ^ A project architect is one who is responsible for ensuring the design is built correctly and who administers building contracts – in non-specialist architectural practices the project architect is also the design architect and the term refers to the differing roles the architect plays at differing stages of the process. ^ Giovanni Fanelli, Brunelleschi, Becocci, Florence (1980), Chapter: The Dome pp. 10–41. ^ "architecture". Encyclopedia Britannica. Retrieved 2017-10-27. ^ "Gov.ns.ca". Gov.ns.ca. Archived from the original on 21 July 2011. Retrieved 2 July 2011. ^ "Vitruvius Ten Books on Architecture, with regard to landscape and garden design". gardenvisit.com. ^ "Vitruvius". Penelope.uchicago.edu. Retrieved 2 July 2011. ^ "Architecture starts when you carefully put two bricks together. There it begins. - Ludwig Mies van der Rohe at BrainyQuote". BrainyQuote. ^ Rondanini, Nunzia Architecture and Social Change Heresies II, Vol. 3, No. 3, New York, Neresies Collective Inc., 1981. ^ Himmelfarb G. "Jeremy Bentham’s Haunted House." Victorian Minds. (Knopf, 1968). ^ Tilghman B.R. "Ludwig Wittgenstein, Architect." Journal of Aesthetics and Art Criticism. Vol. 53 (Fall)., Wijdeveld P. Ludwig Wittgenstein, Architect. (MIT Press, 1994). ^ Wilson S.J. "The Play of Use and the Use of Play: an Interpretation of Wittgenstein’s Comments on Architecture." Architectural Review. 180.1073 (July 1986). ^ Macarthur, David (2014). "Working on Oneself in Philosophy and Architecture: A Perfectionist Reading of the Wittgenstein House". Architectural Theory Review. 19 (2): 124–140. doi:10.1080/13264826.2014.951869. ^ "Introduction to Greek architecture". Khan Academy. Archived from the original on 2014-10-14. Retrieved 2017-06-23. ^ Marika Sardar (October 2004). "Essay: The Later Ottomans and the Impact of Europe". www.metmuseum.org. The Met. Retrieved 12 February 2019. ^ Lory, Bernard (1 January 2015). "The Ottoman Legacy in the Balkans" (html / pdf). Entangled Histories of the Balkans - Volume Three. Entangled Histories of the Balkans - Volume Three. pp. 355–405. doi:10.1163/9789004290365_006. ISBN 9789004290365. Retrieved 12 February 2019. ^ Gunsel Renda. "The Ottoman Empire and Europe: Cultural Encounters | Muslim Heritage" (html / pdf). muslimheritage.com. Retrieved 12 February 2019. ^ Fodor, P. (2013). "Hungary between East and West: The Ottoman Turkish Legacy" (PDF). Retrieved 12 February 2019. ^ "Ottoman Architectural Works Outside Turkey". www.kultur.gov.tr. Retrieved 12 February 2019. ^ Ünal, İrem. "LibGuides: NIT Introduction Guide: Architectural Heritage of the Ottoman Balkans". libguides.ku.edu.tr. Retrieved 12 February 2019. ^ Fez-Barringten, Barie (2012). Architecture: The Making of Metaphors. Newcastle upon Tyne: Cambridge Scholars Publishing. ISBN 978-1-4438-3517-6. ^ Otero-Pailos, Jorge (2010). Architecture's Historical Turn: Phenomenology and the Rise of the Postmodern. Minneapolis: University of Minnesota Press. ISBN 9780816666041. ^ Venturi, Robert (1966). Complexity and Contradiction in Architecture. New York: Museum of Modern Art. ^ OneWorld.net (31 March 2004). "Vernacular Architecture in India". El.doccentre.info. Retrieved 2 July 2011. ^ Other energy efficiency and green building rating systems include Energy Star, Green Globes, and CHPS (Collaborative for High Performance Schools). ^ "The Charter of the New Urbanism". cnu.org. 2015-04-20. ^ "Beauty, Humanism, Continuity between Past and Future". Traditional Architecture Group. Retrieved 23 March 2014. ^ Issue Brief: Smart-Growth: Building Livable Communities. American Institute of Architects. Retrieved on 23 March 2014. ^ "Architecture". Litcaf. 2016-02-10. Retrieved 2017-06-04. ^ OMG Business Architecture Special Interest Group "What Is Business Architecture?" at bawg.omg.org, 2008 (archive.org). Accessed 04-03-2015; Cited in: William M. Ulrich, Philip Newcomb Information Systems Transformation: Architecture-Driven Modernization Case Studies. (2010), p. 4. ^ Clements, Alan. Principles of Computer Hardware (Fourth ed.). p. 1. Architecture describes the internal organization of a computer in an abstract way; that is, it defines the capabilities of the computer and its programming model. You can have two computers that have been constructed in different ways with different technologies but with the same architecture. ^ Hennessy, John; Patterson, David. Computer Architecture: A Quantitative Approach (Fifth ed.). p. 11. This task has many aspects, including instruction set design, functional organization, logic design, and implementation. ^ Federation of EA Professional Organizations, Common Perspectives on Enterprise Architecture, Architecture and Governance Magazine, Issue 9-4, November 2013 (2013). Retrieved on November 19, 2013. ^ Smith, Kevin Lee. "PEAF – Framework". www.pragmaticea.com. ^ "Interior Architecture". RISD Interior Architecture Graduate Department. ^ RINA. "Careers in Naval Architecture". www.rina.org.uk. ^ Clements, Paul; Felix Bachmann; Len Bass; David Garlan; James Ivers; Reed Little; Paulo Merson; Robert Nord; Judith Stafford (2010). Documenting Software Architectures: Views and Beyond, Second Edition. Boston: Addison-Wesley. ISBN 978-0-321-55268-6. ^ Perry, D. E.; Wolf, A. L. (1992). "Foundations for the study of software architecture" (PDF). ACM SIGSOFT Software Engineering Notes. 17 (4): 40. CiteSeerX 10.1.1.40.5174. doi:10.1145/141874.141884. ^ Bass, Len; Paul Clements; Rick Kazman (2012). Software Architecture In Practice, Third Edition. Boston: Addison-Wesley. ISBN 978-0-321-81573-6. ^ Coulouris, George; Jean Dollimore; Tim Kindberg; Gordon Blair (2011). Distributed Systems: Concepts and Design (5th Edition). Boston: Addison-Wesley. ISBN 978-0-132-14301-1. ^ Paul C. Clements (1996) "A survey of architecture description languages." Proceedings of the 8th international workshop on software specification and design. IEEE Computer Society, 1996. ^ Nenad Medvidovic and Richard N. Taylor (2000). "A classification and comparison framework for software architecture description languages." Software Engineering, IEEE Transactions on 26.1 (2000): 70-93. ^ Boeing; et al. (2014). "LEED-ND and Livability Revisited". Berkeley Planning Journal. 27: 31–55. Retrieved 2015-04-15. ^ Van Assche, K., Beunen, R., Duineveld, M., & de Jong, H. (2013). Co-evolutions of planning and design: Risks and benefits of design perspectives in planning systems. Planning Theory, 12(2), 177-198. 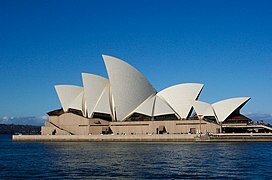 Wikivoyage has a travel guide for Architecture.